Olive oil is one of the most popular ingredients when it comes to cooking. Since olive oil is considered very healthy, you must have found it in a lot of food recipes. But here is an interesting fact about olive oil. It is as much healthy for your skin and hair. 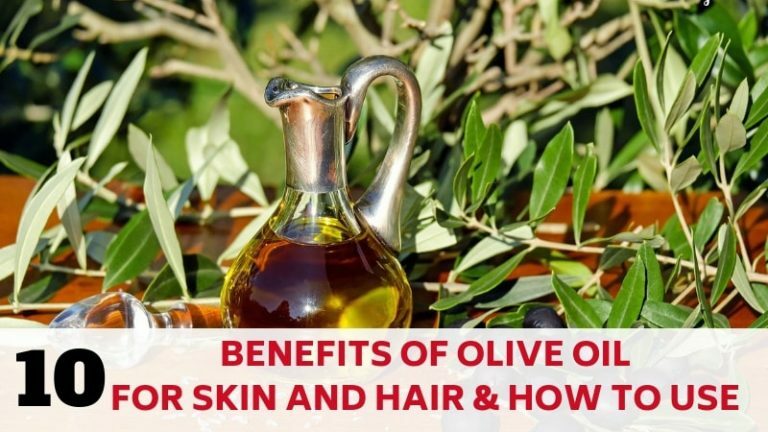 There are numerous benefits of olive oil for skin and hair. It consists mainly of oleic acid(up to 83%) which is monounsaturated omega-9 fatty acid. Oleic acid has its own benefits for your skin and hair both. It helps in moisturizing your skin. It also has anti-aging properties. When it comes to hair oleic acid helps stimulate hair growth. It prevents dry scalp and dandruff. It also keeps your hair hydrated and make hair soft and manageable. Besides oleic acid olive oil also contains some other fatty acids including linoleic acid(polyunsaturated omega-6 fatty acid) and palmitic acid(saturated fatty acid). Palmitic Acid is a common saturated fatty acid. it is also a very important fatty acid for your skin. Studies suggest that aging skin is found to have decreased levels of palmitic acid(source). Olive oil is a liquid fat obtained from olives. It is a traditional tree crop of the regions of land around Meditteranean sea like Spain, Italy, Turkey etc. Olive oil is basically produced by pressing whole olives. If we talk about the uses of olive oil, it is commonly used for cooking which I have mentioned earlier. It is also used in cosmetics, pharmaceuticals, and soaps. Olive oil has been used as a home skincare remedy for a long time. Egyptians used it alongside beeswax as a cleanser, moisturizer, and antibacterial agent since pharaonic times. In ancient Greece, olive oil was used during massage, to prevent injuries and relieve muscle fatigue. In 2000, Japan was the top importer of olive oil in Asia because consumers there believe both the ingestion and topical application of olive oil to be good for skin and health(source). Olive oil is a great natural home remedy for preventing and treating dry skin. It is rich in oleic acid(monounsaturated omega-9 fatty acid) Which helps in moisturizing your dry skin. It is a natural humectant which means it attracts moisture from the air to dry skin. It penetrates deep into the skin and provides a long-lasting shield of moisture. This keeps your skin soft and supple. Take one tablespoon of extra virgin olive oil. Add 2-3 drops of sandalwood essential oil with it. Take 3-4 drops of oil serum and apply it to your skin. Sandalwood essential oil is one of the best oils for skincare. It acts as a cicatrizant and helps soothe your skin. It softens skin by increasing its ability to retain moisture. Olive oil is high in vitamin E(source). Vitamin E is one of the essential vitamins for your skin. It is a powerful antioxidant that protects your skin from oxidative stress. It also protects your skin from harsh sun rays. These are the factors which could cause skin aging. Vitamin E by being a powerful antioxidant protects your skin against these factors and prevent skin aging. Studies also suggest that vitamin E occupies a central position as a highly efficient antioxidant, protecting skin from the adverse effects of oxidative stress(source). The rich content of oleic acid in olive oil is also beneficial to slow down aging and prevent premature wrinkles and fine lines. Take one tablespoon of olive oil. Add 2-3 drops of frankincense essential oil with it. Frankincense essential oil has astringent properties which means it causes the contraction of skin cells to tighten the skin and reduce the appearance of pores. It improves the elasticity of skin and strengthens it. It regenerates skin cells to reduce the appearance of fine lines and wrinkles. Olive oil is very effective in healing cracked heels. Cracked heel generally occurs due to loss of moisture in the skin. Since olive oil has excellent moisturizing properties, you can have soft and smooth heels. First, exfoliate your heels using a pumice stone then rub olive oil on them generously. It will add moisture and smoothness to your heels. Olive oil can also be used on lips. It conditions your lips and protects them from drying out or becoming chapped. It nourishes skin cells and moisturizes your lips, making them soft and supple. In short olive oil can make your lips gorgeous. Take a bowl and put brown sugar and olive in it. Sugar is a natural humectant just like olive oil. It would attract moisture to your lips and prevent dry or chapped lips. It is also a great exfoliator which means it removes dry, dead skin cells on the surface and leaving lips smoother. Everyone dreams of glowing skin. But it is very difficult to have such type of skin in today’s world. The excessive stress, pollution, and an unhealthy diet damages your skin. Many people turn to chemical-laden skincare products which result in either no effect or damages your skin even more. 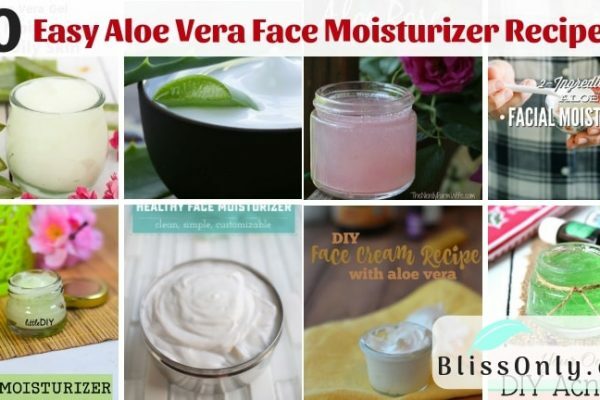 It is always better to apply natural ingredients on your skin. That’s why you should use olive oil for skin. Olive oil is high in vitamin E, a powerful antioxidant that protects your skin from the harmful effects of free radicals. Free radicals damage your skin cells which is one of the main cause of skin aging. These harmful effects are caused by free radicals when there is an imbalance between free radicals and antioxidants in your body or in simple words it is due to oxidative stress. Vitamin E is also effective in treating inflammation, scars, and psoriasis. Olive oil also contains essential fatty acids(omega-3 and omega-6 fatty acids) which are very important for keeping skin healthy. It is rich in oleic acid which helps moisturize your skin. 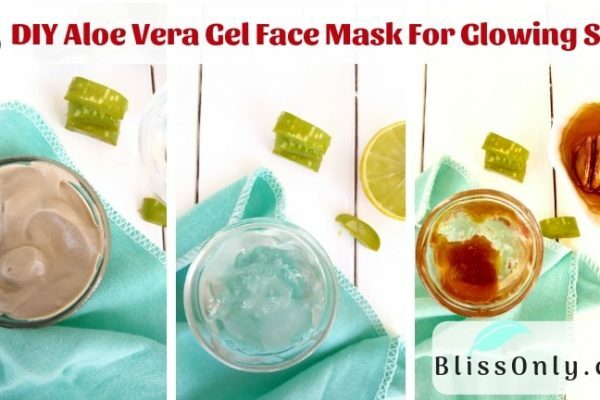 It maintains the skin’s elasticity and tends to keep it soft, smooth and glowing. Lavender oil contains antimicrobial and antioxidant characteristics that help in killing harmful bacteria in the skin, making it clean and healthy. Because of its antioxidant characteristics, it protects the skin from free radicals which could contribute to fine lines and wrinkles. It is also anti-inflammatory which helps in preventing redness and blotching of skin, leading to restore bright and natural skin tone. Olive oil is a great conditioner for your hair. It is rich in oleic acid which stimulates hair growth. It also keeps your hair hydrated and make hair soft and manageable. It also moisturizes your scalp and prevents scalp issues like dry scalp and dandruff. It is rich in vitamin E, an antioxidant that protects cells from the harmful effects of free radicals. This prevents hair loss. Studies also show that oxidative stress(disturbance in the balance between the free radicals and antioxidant defenses) can lead to hair loss(source). Olive oil also increases blood circulation in your scalp which stimulates hair follicles to grow thick hair. Gently massage for 2-3 minutes. Jojoba oil moisturizes your scalp which improves the health of hair follicles. It is also a rich source of vitamin E that keeps your scalp healthy. It contains omega-3 fatty acids which prevent hair loss, breakage and promote healthy hair growth. It is also very effective in reducing inflammation on the scalp which is one of the main reason for hair loss. Peppermint oil contains menthol that improves blood circulation in the scalp. This helps in stimulating hair growth. Studies also suggest that topical application of menthol increases cutaneous blood flow i.e. blood flow to the skin(source). Olive oil can help in treating dandruff. It has oleic acid(monounsaturated omega-9 fatty acid) that help moisturize your dry, flaky scalp. When the scalp is properly moisturized then your hair follicles get proper nourishment which stimulates hair growth. It has anti-inflammatory properties that reduce inflammation on the scalp. It is also a rich source of vitamin E which is an antioxidant that protects the scalp from the harmful effects of free radicals that weaken the cell, make it susceptible to infections and cell death. Jojoba oil is also a great remedy for treating dandruff. It balances the scalp’s sebum(oil) production which helps in dissolving excess sebum and dirt clogging your hair follicles. When the hair follicles are clogged with excess oil and dirt then it causes excess cells to fall off which ultimately causes dandruff. Tea tree oil has powerful antibacterial and antimicrobial properties which kill bacteria, yeast living on your scalp and cause dandruff. It also reduces itchiness on the scalp. In fact, in a study, it was found that a shampoo containing just 5% of tea tree oil can help in treating dandruff (source). A split end is the splitting of the hair shaft at the tip of your hair. Split End is one of the biggest arch-enemies for healthy hair and if it is not treated soon then the hair strands start to break at different points. Olive oil is very effective in treating split ends. It is loaded with vitamin E which help nourishes your hair and repair dry, damaged hair and split end. It also moisturizes your hair and prevents dryness. It seals your hair cuticle which helps in retaining moisture in the hair shaft. This helps prevent frizz. The rich fatty acids content of olive oil rehydrates your hair and makes your hair soft and smooth. It strengthens your hair and improves its elasticity. This would prevent breakage and split ends. Now take a teaspoon of the mixture in your palm. Rub your palms together and then apply it to your hair, starting from the roots till the ends. Egg Yolk moisturizes dry hair. It contains vitamin A and vitamin E which helps in healthy hair growth. It is also a rich source of providing protein to your hair to make it more resistant to damage. Argan oil is also rich in vitamin E as olive oil. Vitamin E boosts collagen which is very important for hair. Collagen helps in the regeneration of cells which improves the elasticity and strength of the hair. It contains linoleic acid(polyunsaturated omega-6 fatty acids) which keeps your hair hydrated and also prevent dry hair. Linoleic acid is also very effective in preventing hair loss. You can have strong and shiny hair with olive oil. Olive oil contains fatty acids which help in the moisturizing scalp. This makes your hair soft and shiny. On the other hand, by moisturizing your scalp you can prevent scalp issues like dandruff, dry scalp, itchy scalp. It contains oleic acid(monounsaturated omega-9 fatty acid) which help stimulate hair growth and make hair thicker, longer and stronger. Olive oil has got powerful antioxidant properties thanks to vitamin E which protect cells from the harmful effects of free radicals. Vitamin E also boosts collagen in your scalp which helps in cell regeneration. This improves the strength of your hair. Jojoba oil is very healthy for hair. It is similar to the sebum(oil) contained in the scalp. This helps in moisturizing your scalp and hair. It is rich in vitamin C an antioxidant that protects your scalp from damage-causing free radicals. Free radicals can restrict healthy hair growth. Vitamin C helps your body absorb iron, a mineral necessary for hair growth. It also contains vitamin E which is another antioxidant. These antioxidants help in regeneration of cells which improves the strength of hair. It has several other vitamins and minerals that nourish your hair. Rosemary oil is one of the best essential oil for hair. It encourages blood circulation in the scalp which protects the hair follicles from the deficiency of blood supply and promotes hair growth. It is also very effective in preventing excessive hair fall. It can also help treat dry or itchy scalp. Olive oil has a very light texture. It is non-greasy which makes it perfect oil for a leave-in conditioner. 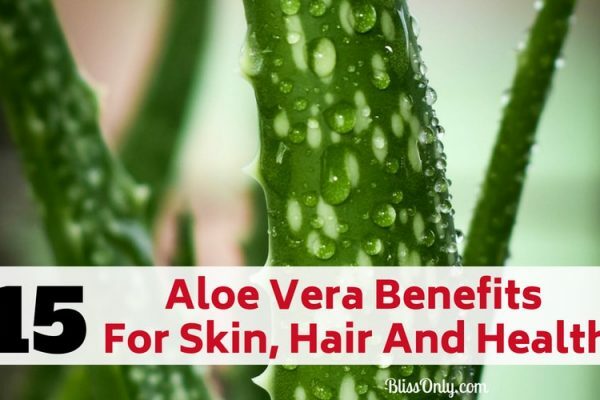 It can help in taming frizz and flyaways. Using olive oil as a leave-in conditioner allows styling your hair easily. One of the main reasons for getting frizzy hair is excessive exposure of the hair to hair dryers, curlers, and straighteners. Olive oil here gives ultimate protection to your hair against the heat of these hair styling products. It also adds shine to hair. Dry or curly hairs are always prone to tangled hair. You have to very careful while untieing those knots on your hair otherwise you will be experiencing an increase in hair fall. Olive oil is also effective in detangling hair. It makes your hair soft and smooth allowing you to untie the knots easily. Take a hairspray container and add a half cup of distilled water, two tablespoons of olive oil, one tablespoon of coconut oil. Seal the container and shake it well before application. Spray this solution on your tangled hair properly. Start from the tip of the hairs. Make several partitions of your hair and firstly detangle your hair from a tip by combing it slowly with a wide tooth comb and slowly move to the upper direction of your hair and finish that section of your hair before going to the next section. 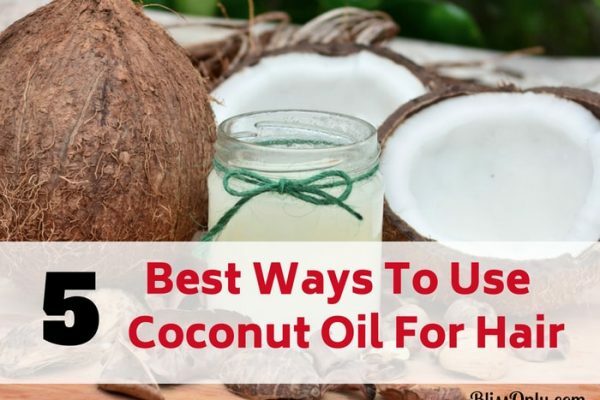 Coconut oil penetrates deeply into hair shaft than any other oil. It is stable and does not evaporate easily. It contains vitamin E which would moisturize your hair. It is also a rich source of lauric acid which contains protein and help in nourishing hair follicles, make hair strong and silky.